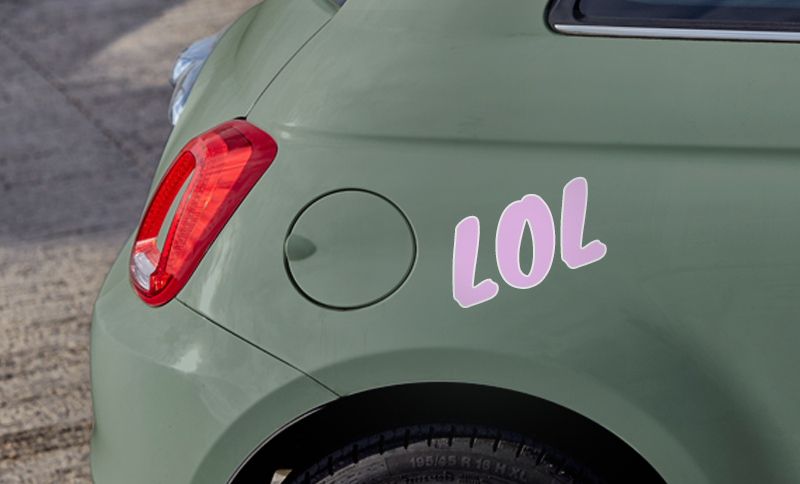 If you want to decorate your car with a personalised sticker, you're surely looking for a good, original and unique idea. At Camaloon you can choose the shape that you want for your stickers and create your own designs online with all of your ideas. Upload photos that you store on your mobile, drawings or designs. Write messages in the most original fonts and decorate your stickers with themed icons and templates. The possibilities are endless, but today we want to give you some inspirational ideas for making your creations unique. 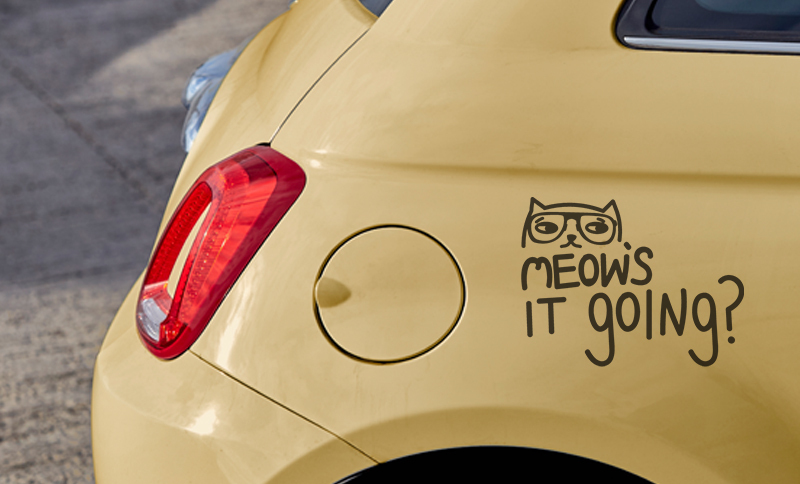 Meow's It Going stickers are great for cat lovers. You will also cause hype with the latest hipster trend: ironic humour cartoons. Be enthralled by the most feline-like stickers. If you love social networks, especially Instagram or Snapchat you can create some stickers inspired by your favourite network. 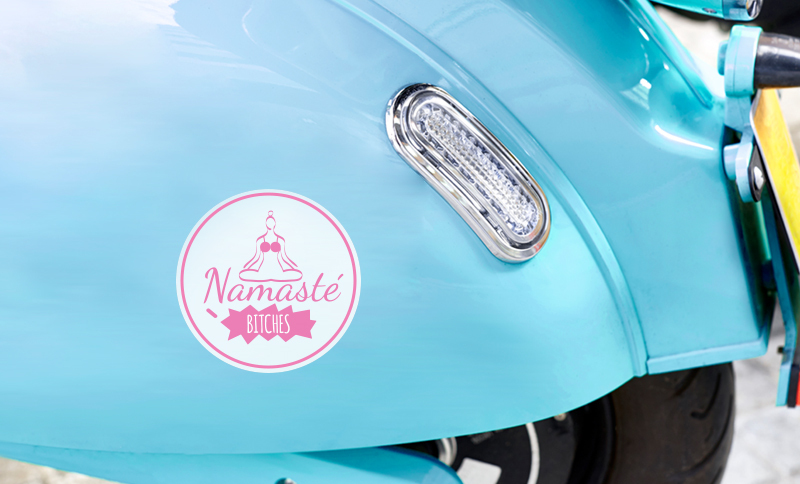 Let your virtual stickers carry you away and turn them into great ideas. 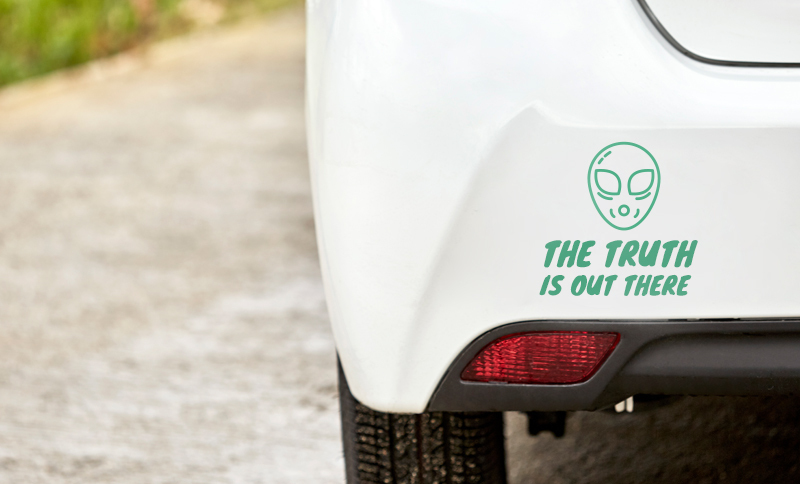 We've been seeing the 'I Want To Believe' message everywhere. The legendary quote from the X-files series is one of the most popular virals. 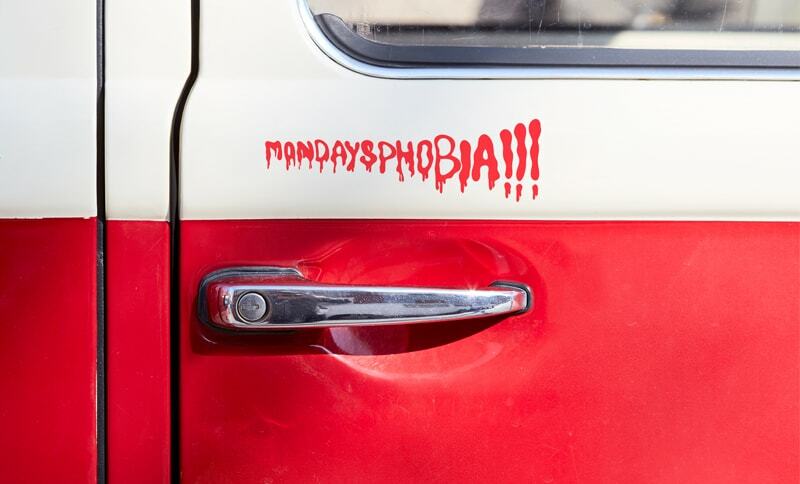 You can now use it for decorating your car, but be careful not to have any kind of paranormal experience! If life gives you memes, make yourself a sticker. 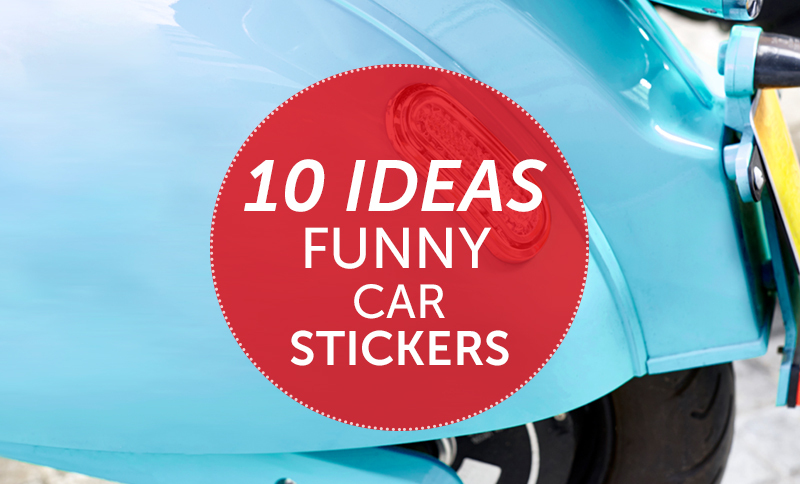 Create funny stickers using the jokes you receive through Whatsapp, Twitter or Instagram. Share your humour beyond social networks. 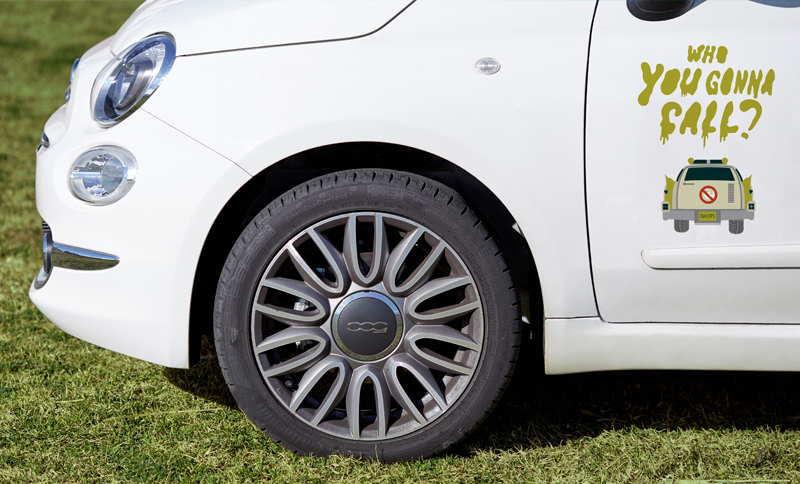 Keeping calm is essential when travelling by car. It's a good piece of advice that you can use as a funny quote. This popular motivational quote from the Second World War has become a total pop icon for slogans. De-dramatising, in general, is a good life philosophy. Lighten things up and give them a touch of humour. 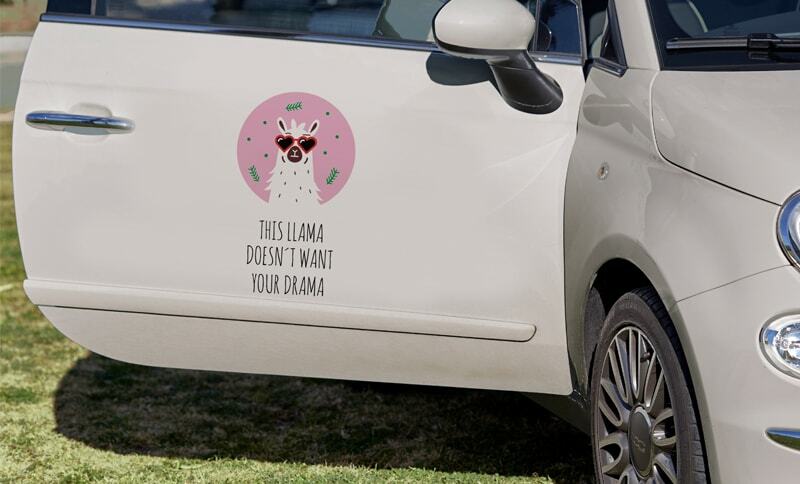 Create your own 'no drama' stickers and you'll be laughing in the face of problems. Laughing at oneself is the key to having a sense of humour. 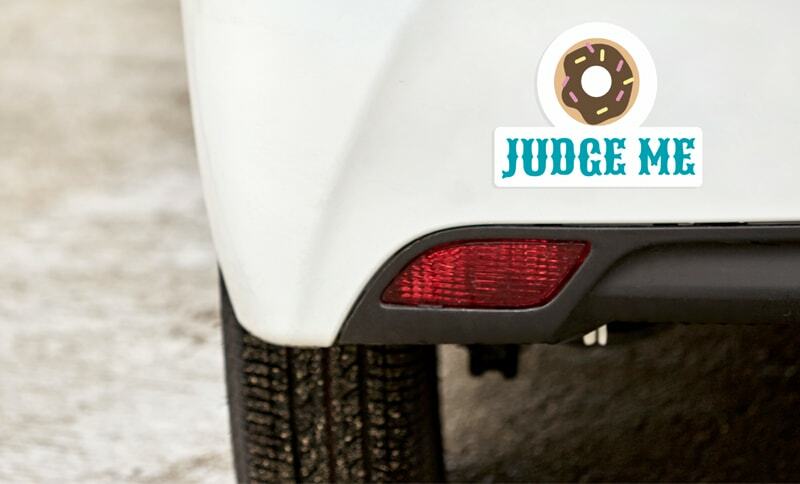 However experienced you are at driving or however much others criticise you, display stickers with your best smile, free of judgement. There are many films that we like, from the classics to the most modern, and we end up using a huge amount of our favourite quotes in our daily life. 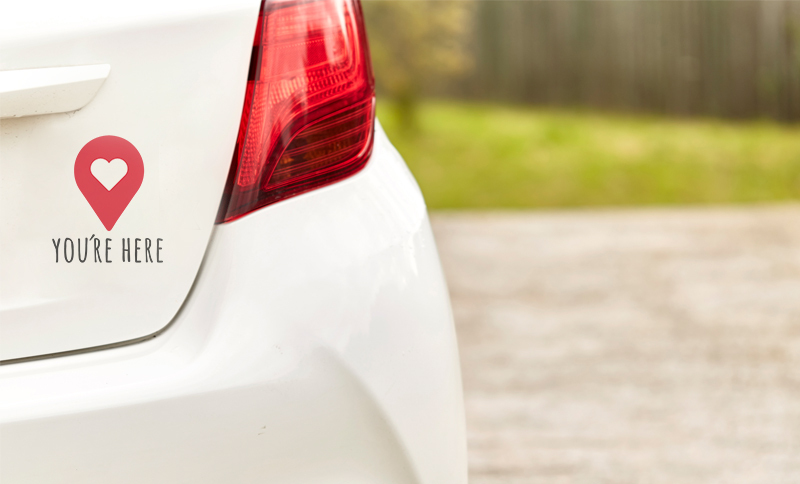 This gives us another idea for creating a funny sticker for our car. Two wheels go a long way. The biker's ethos is freedom. 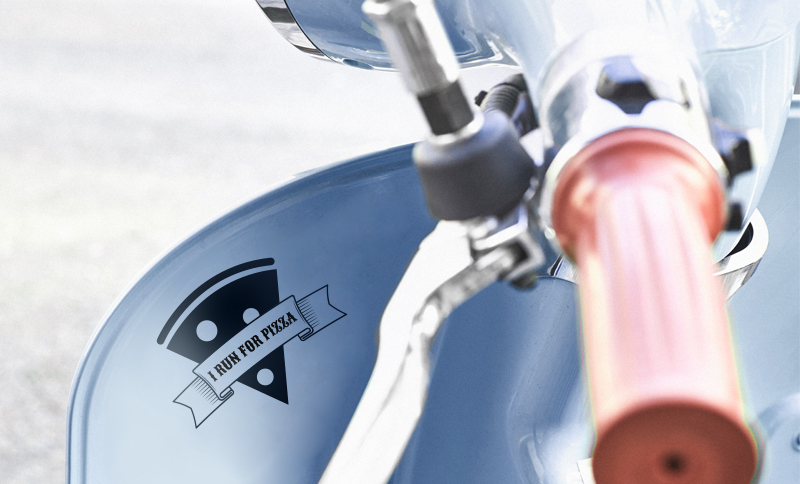 Use it for tattooing your motorbike with your own style. Our vinyls will keep up with you. Don't overcomplicate. Vans are cool and you know it. Personalise them with your funny messages and designs. A touch of humour always does the trick.